It used to be that if you wanted Indian food in Atlanta, you headed to either an all you can eat lunch buffet filled with warming trays of curry and rice or an uber-traditional restaurant serving chicken tikka masala and naan. In fact, this is what Indian food has been to most Americans for decades. Thankfully, we’ve begun to understand that, just as there’s more to Chinese than General Tso’s chicken and egg rolls, more to Japanese than California rolls and spicy tuna, more to Thai than pick-your-protein technicolor curries, there is so much more to Indian than the banquet food we’ve come to expect. Masala Smashed Potatoes— crispy fingerling spuds tossed with salt, chaat masala, lime juice and cilantro— make for next-level snacking. This revelation is in large part thanks to chefs such as Meherwan Irani who are opening a new strain of restaurants applying serious nuance to “ethnic food,” expanding the boundaries of what a country’s cuisine really means. David Chang did it for Japanese food in NYC; Danny Bowien for Chinese cuisine in San Francisco; Andy Ricker for Thai food in Portland. Irani’s been hard at work demystifying Indian food in the South, first at Chai Pani in Asheville, N.C. (a second location is in Decatur), then at MG Road Bar & Lounge and Buxton Hall Barbecue and now at Botiwalla in Atlanta’s Ponce City Market. 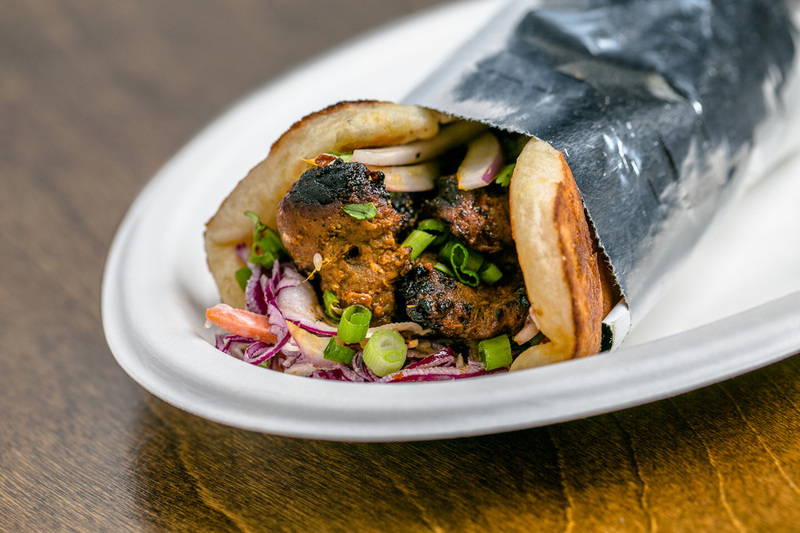 The Masala Tri-tip Roll is spicy, with flavors of black pepper, dark soy, curry leaf, ginger garlic and vinegar. No longer. At Botiwalla, opened by two-time James Beard Award winner Irani in April 2016, the counter-service hotspot is anchored around the Indian grill (called sigri) and tandoori oven, showcasing marinated meats on skewers (kababs) cooked on an open flame. The core of the menu revolves around these kababs, with half a dozen options of grilled meats. Choose from paneer tikka, Kashmiri tri-tip, chicken tikka or lamb boti kabab to sandwich into a hot-buttered naan roll with grilled veggies, sweet and crunchy slaw, cooling yogurt and flavor-packed chutney. Truth be told, the rolls all taste nearly identical, and while they’re good (great, even), I’m much more partial to the less bread-heavy dishes such as the TFC (Tandoori Fried Chicken!) Plate. Made with heritage chicken from Joyce Farms, the bird is marinated in lime juice, yogurt, Kashmiri chili paste and North Indian spices, and its crispy skin and juicy interior gives neighbor Hops Chicken a serious run for its money. Don’t worry, carb enthusiasts: The chicken is served with house-made parathas, a flaky, griddled, ghee-brushed flatbread that is markedly more pliable than naan (and my personal preference). A few pieces of chicken, more of the crunchy slaw and raita (lightly seasoned yogurt to take the edge off the heat), and you’ll be wondering why you ever wasted calories on boring buttermilk fried chicken when flavor like this exists. SPDP, please! The popular dish combines potato-stuffed puris, crunchy noodles, yogurt and tangy chutneys. Likewise, Botiwalla is also inspired by Irani cafés, quirky eateries in India often run by the descendants of immigrants from Iran, like Irani and his family. Both concepts are a seismic shift in how Indian food has existed in Atlanta thus far, particularly in terms of value and presentation. “Value is what a lot of ethnic restaurants are built on, and it’s something we, and other ethnic restaurants, battle all the time—the preconceived notion that we are supposed to serve rice and curry by the truck load for the cost of a bus ticket,” confesses Files. Considering the thought, quality of ingredients and cooking skill that goes into each dish at Botiwalla, I have to admit I still think they’re undercharging. 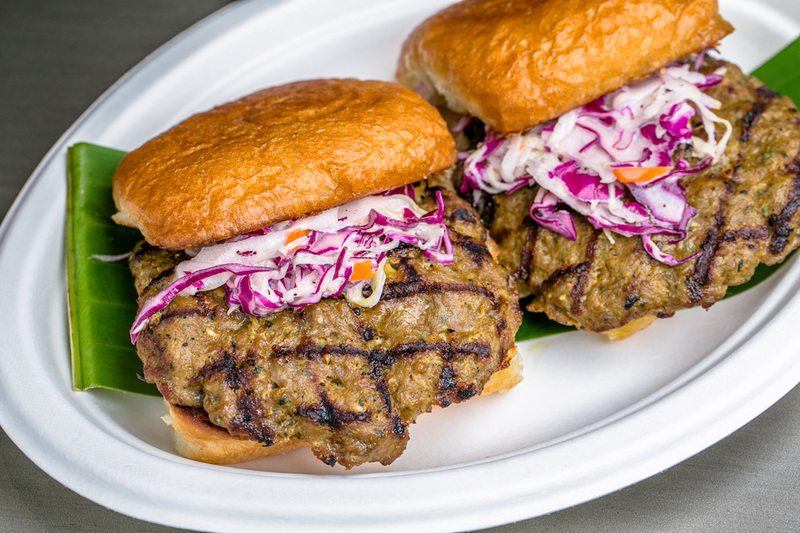 Pillowy, toasted buns brushed with ghee are enough to warrant an order of Lamb Burgers. Take the lamb burgers, for example. The menu description calls this dish “two ground lamb sliders,” but I’ve never been able to finish more than one of the burgers in all three of my visits, as each is the equivalent size of a McDonald’s cheeseburger. Of course, at Botiwalla, factory-farmed meat is swapped for natural, humanely raised lamb, and the burger is made with more than 50 ingredients, including cumin and ginger canoodling with chilies, mint and cilantro, proving, once again, that I’ll never be able to replicate authentic Indian cooking at home (who has the pantry space?). Fortunately, I can get Botiwalla’s burger, which comes on a toasted pav (Indian bread roll) brushed with ghee, for a mere $10.99, and it’s served with desi slaw, green chutney and rich Maggi ketchup. Pair it with the masala smashed potatoes. 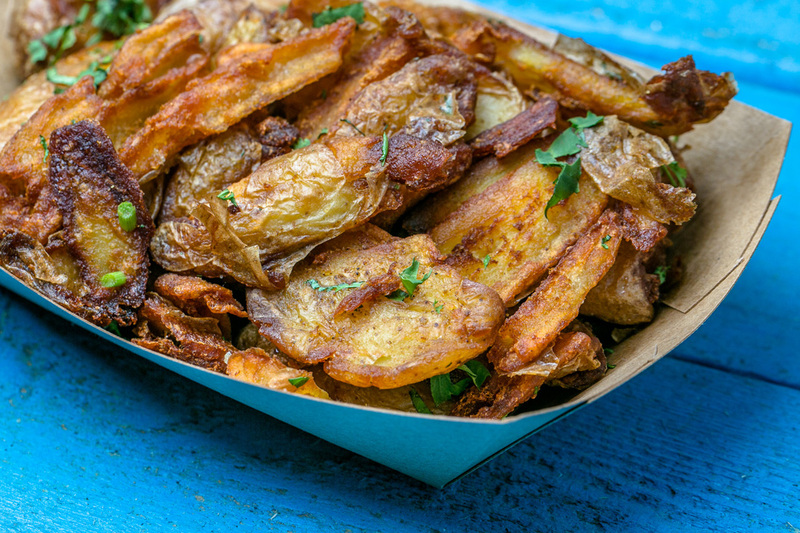 Easily the crispiest and most addicting potatoes in the city, they’re tossed with salt and warming masala spices before getting a spritz of zesty lime juice. 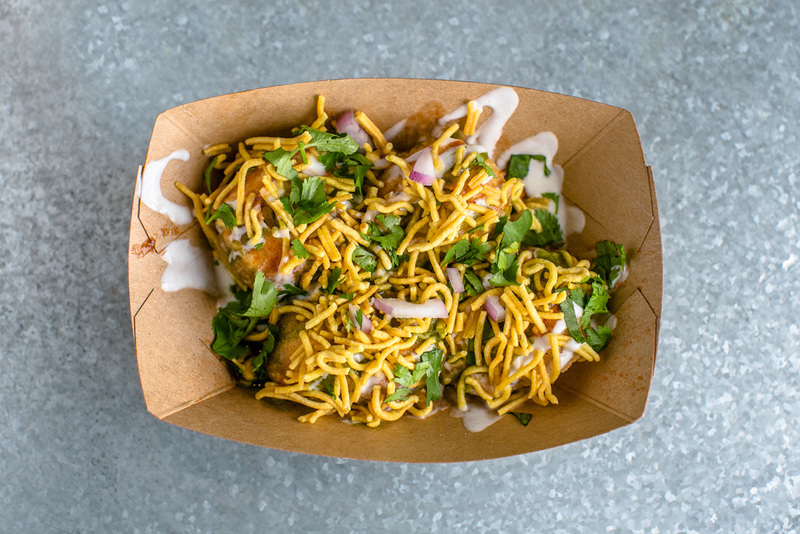 The potatoes are under the “chaat” (Indian street snacks) section of Botiwalla’s menu, which also includes other favorites from Chai Pani: corn bhel (think of it as an intensely seasoned Indian corn salad, the recipe for which is in my cookbook, Atlanta Chef’s Table, and the signature SPDP, a savory puffed crisp (called puri) brimming with cold, sweet yogurt, chutney, potatoes, onions and cilantro, capped off with crunchy chickpea noodles. Here’s the thing about SPDP. It’s the most powerfully flavored, multi-textured bite I’ve ever tasted. I find all of Irani’s food to be this way—a tantalizing telltale of contrast and complex flavors. The sheer number of things going on in this one bite is positively exhilarating. But—and this is a big but—you have to possess the mouth of a pelican in order to eat the SPDP in one bite. It’s just too large, and so most of my dining companions have found it overwhelming rather than thrilling. Cut the size in half, and they’d be golden. 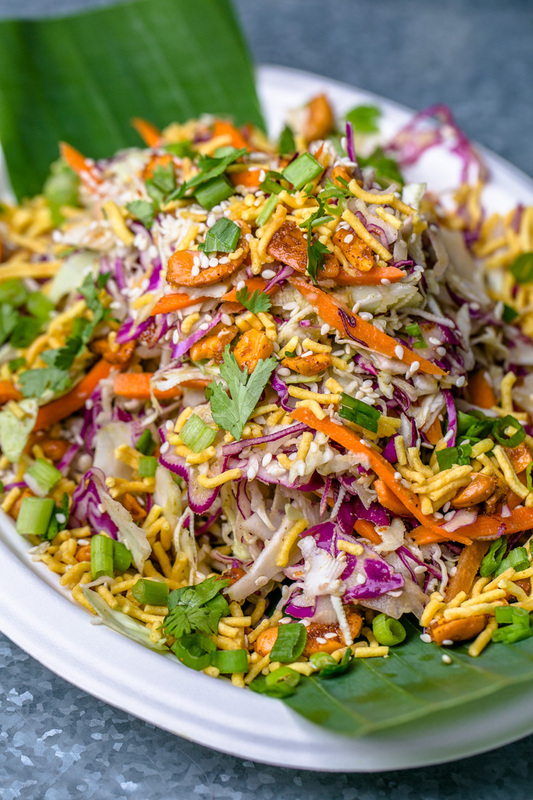 The refreshing Desi Salad packs a lot of crunch with shredded cabbage, carrots, scallions and roasted cashews. Just as the food is authentic without being traditional, the 1,700-square-foot space is equally contemporary. Yes, it’s decidedly different from conventional Indian restaurants—for proof, just look for the hipster ads and campy hand-painted signs, which, by the way, were custom-made from Irani family archives—but the Victorian architecture and vibrant visuals are undeniably Indian. Though the 40-seat patio is tempting, I recommend sitting at one of the wooden tables inside the narrow dining room to get the true Indian street experience, complete with the typical sensory overload. Irani has truly captured the Indian captured the Indian joie de vivre—meats sizzling on the grill, intoxicating aromas in the air and palpable energy emanating from the open kitchen. 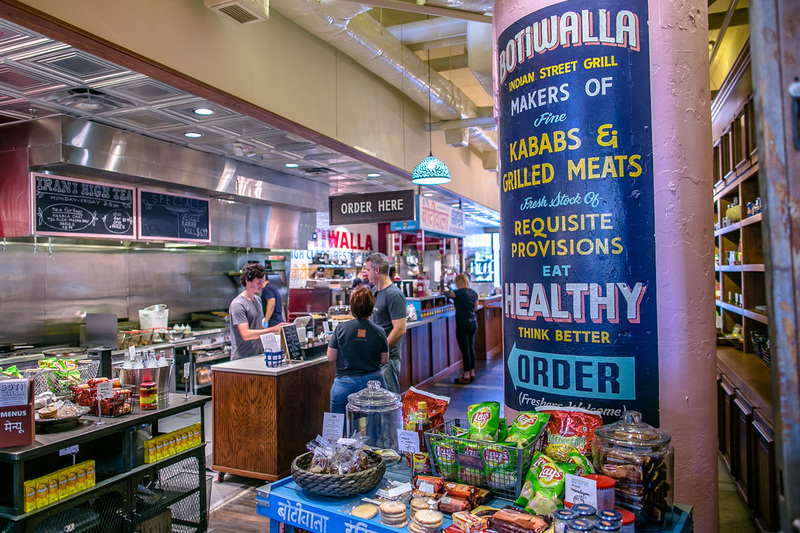 Ponce City Market, 675 Ponce De Leon Ave.
Bottom Line: Botiwalla’s nuanced cuisine proves Indian food is more than curry, with sigri grills and authentic, yet modern, street food that’s as invigorating as the lively space itself.